The many reasons to doubt Kerry's Syria deal. 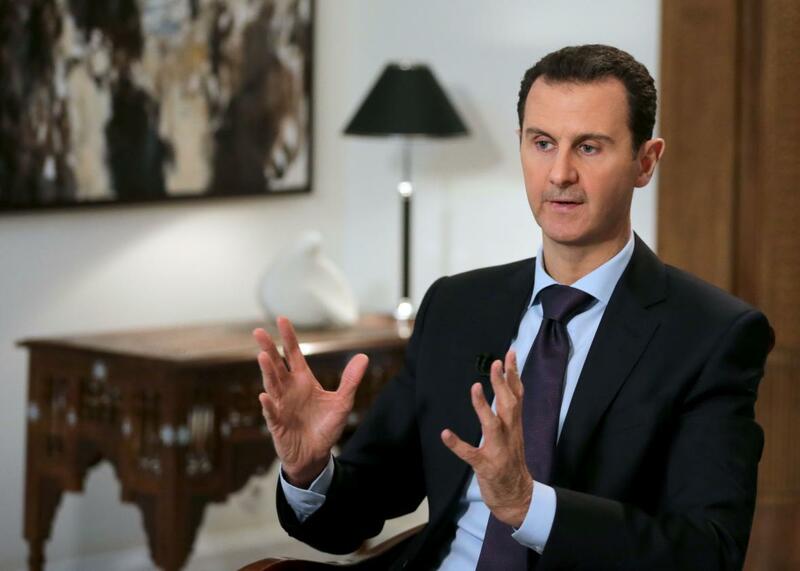 Syrian President Bashar al-Assad gives an exclusive interview with AFP in the capital Damascus on Thursday. Thursday night in Munich, Secretary of State John Kerry and his Russian counterpart Sergei Lavrov agreed on a “cessation of hostilities” in Syria, as well as a plan to deliver badly needed humanitarian aid to civilians. Given the overwhelmingly bleak situation on the ground in the country, any diplomatic breakthrough is welcome. But there’s still plenty of cause to be skeptical that the deal will be lasting or meaningful. For one thing, the choice of the term “cessation of hostilities” rather than “cease-fire” is intentional. The latter indicates a more permanent situation that includes mandated steps under international law. That’s not what Kerry and Lavrov agreed to. Their deal hasn’t actually been signed by the parties fighting on the ground—the Syrian government and the rebels. And the fundamental disagreements between the U.S. and Russia—the future role of Assad, and whether Western-backed rebels are terrorists or a legitimate opposition—are still unresolved. Assad certainly doesn’t appear to have any intention of halting his advance, vowing in an interview with the AFP news agency published hours after the deal was announced that his forces would retake “the whole country,” though he admitted it would take “a long time,” given the involvement of outside countries. Still, since Syrian forces have relied on air support to help them advance against the rebels, if Russia follows through on its commitment to halt its bombing, it would be the first meaningful diplomatic breakthrough of the conflict and perhaps set the stage for something larger. I wrote Thursday, before the deal was announced, that I don’t see any diplomatic solution or military strategy that prevents this war from dragging on for years. I still feel that way, though I’d be overjoyed to be proven wrong.